Above photo 2009 by Oast House Archives Creative Commons Licence. Above sign, March 1991, sign left, 2010. Above card issued April 1955. Sign series 5 number 39. 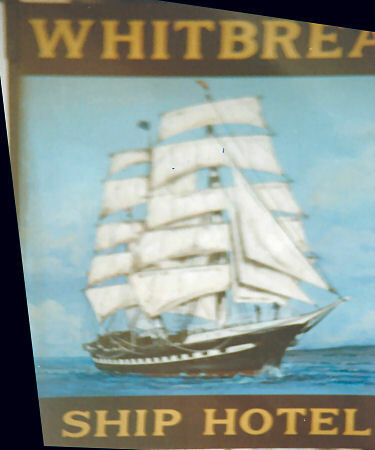 The original "Ship" was built of mainly ship timber brought from the old port of New Romney. The first recorded keeper is one Thomas Banne, who is described as an "ostler" of the parish of Romney. The inn is mentioned in the will of Samuel Dunstare in 1579. 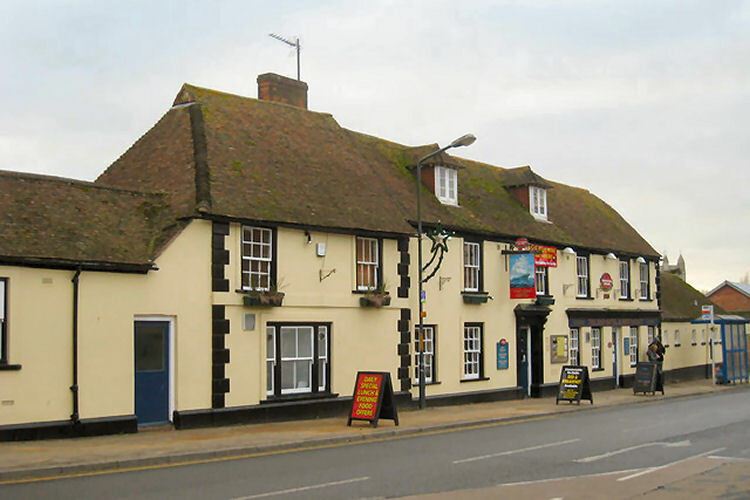 In 1662 it is recorded that the inn underwent extensive alteration, the thatch, wattle and daub was removed in part and replaced with tiles and bricks. The present facade was erected in 1728. 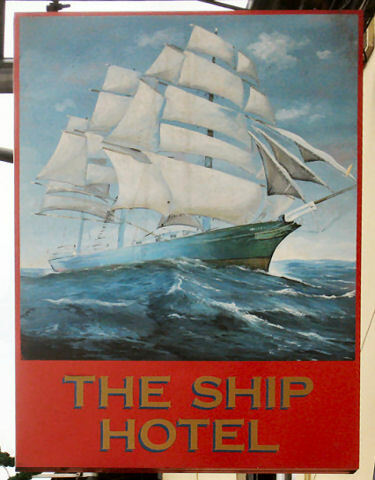 At the height of the coaching era of the mid to late eighteenth century, The "Ship" was an established coach halt being situated on the main Rye to Dover route, and is mentioned as a compulsory stop in the timetable of 1802. More recently In the 20th century the cellar was also used as a public air-raid shelter in World War II. From the Kentish Gazette, 3 February, 1773. Price 1½d. On Saturday the 6th of February to be SOLD by AUCTION. 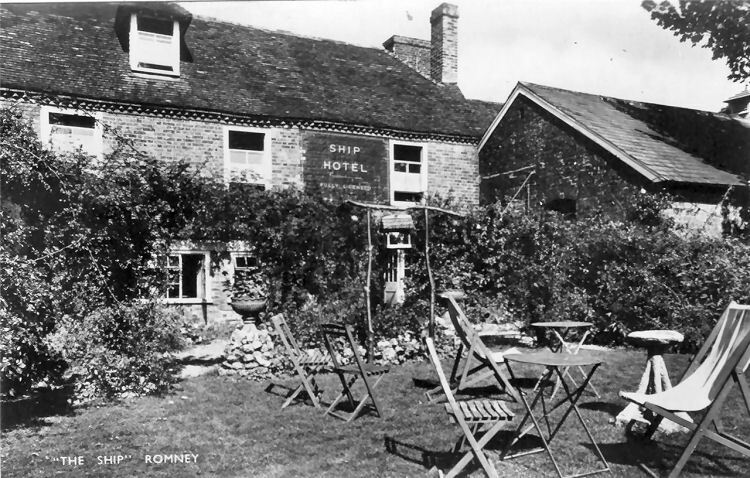 At Two o'clock in the Afternoon, at the “SHIP INN,” at ROMNEY. About 12 or 13 Hundred of Deals and Battens, 24 Oars, and 2 Spars; Being Part of the Cargo saved out of the Sloop, Double Trocq, P. E. Pizia, Master, stranded at Romney the 12th of November, 1771. Enquire of Messrs. Minet and Fector, at Dover, or of Mr. John Shoosmith, at Lydd.